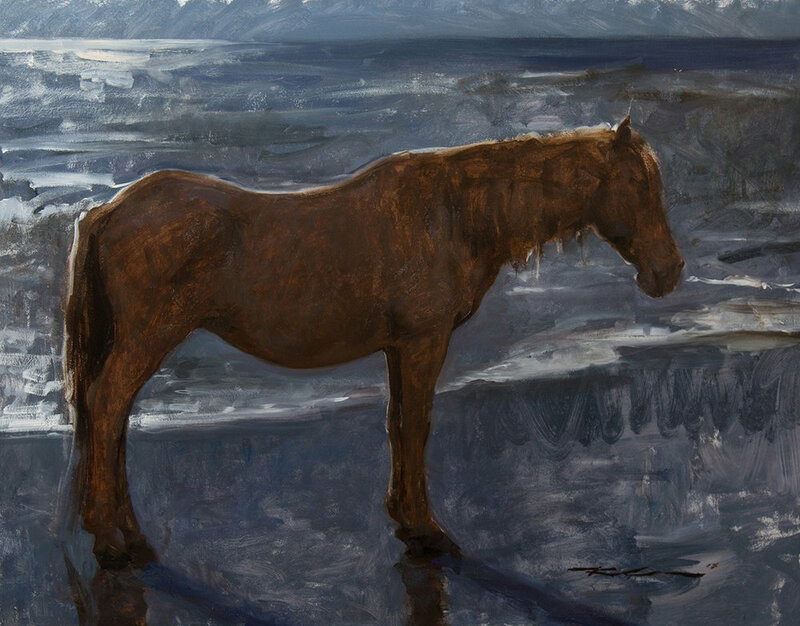 (SOLD) "Future Legacy, San Carlos" 16"x23.25"
On the evening of December 8, 2018, Maxwell Alexander Gallery will host an exhibition of new works by renowned artist, Michael Klein. Land Dwellers will mark the first major solo exhibit by Klein in the last decade. 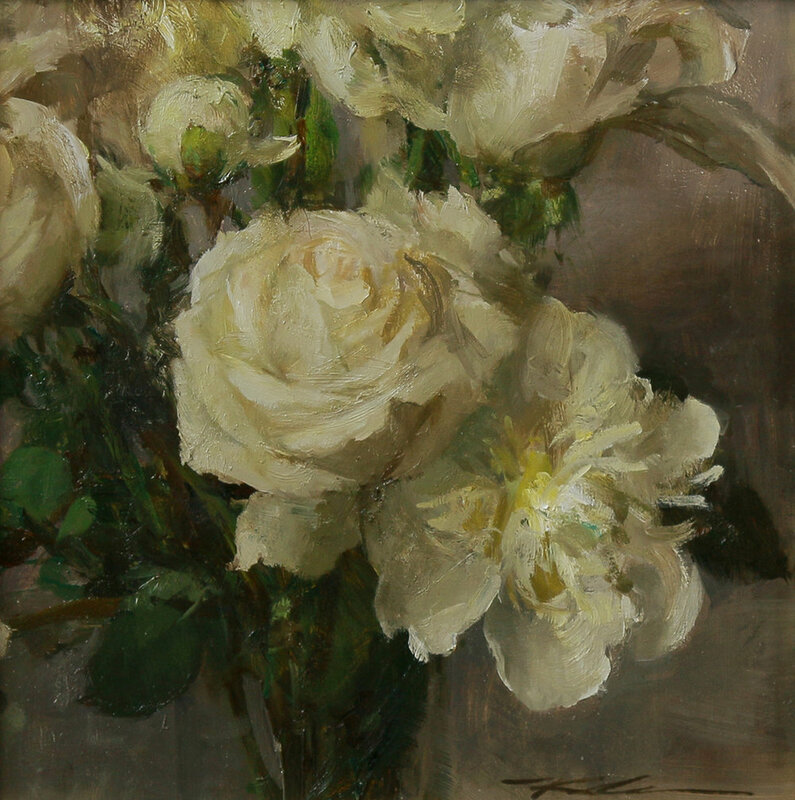 Klein is well known for holding a role in the revival of representational painting giving attention to the Renaissance and French Academic traditions. His artwork never ceases to display his extensive education, beginning in classical ateliers and workshops at only the age of nineteen. 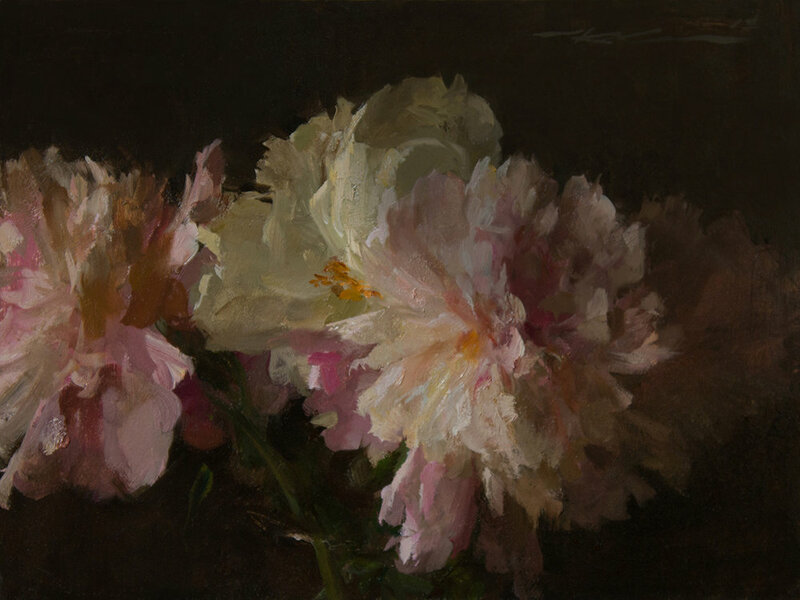 In addition to learning under such masters as Richard Whitney, Nelson Shanks and Jacob Collins, Klein continues to invest in his creative expansion through working from life and exploring what could be considered as untouched subject matter. Land Dwellers will have twenty of Klein’s new oils on display. 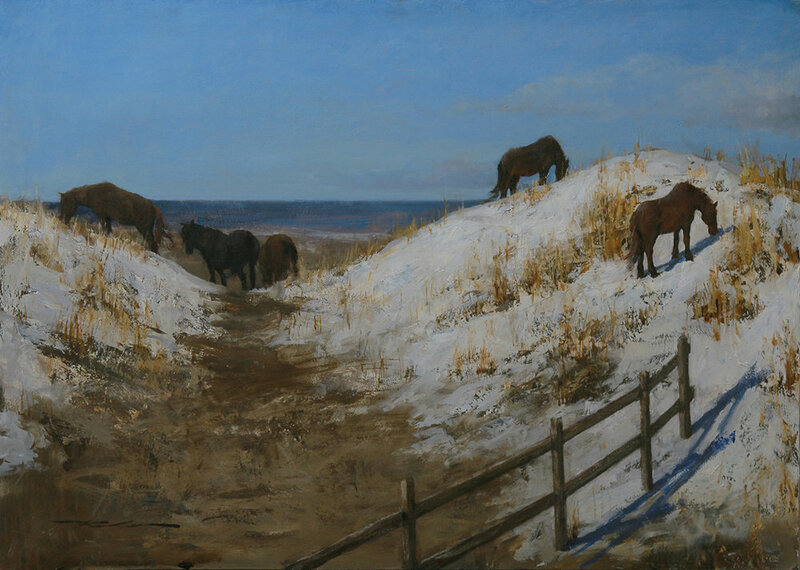 These works will include subject matter ranging from floral still-lifes, in which Klein is widely recognized for, along with portraiture and, his new inspiration, wild mustangs that roam the Outer Bank islands of North Carolina. Klein and his wife have recently relocated to Raleigh, NC, which led to the discovery of a historical gem. 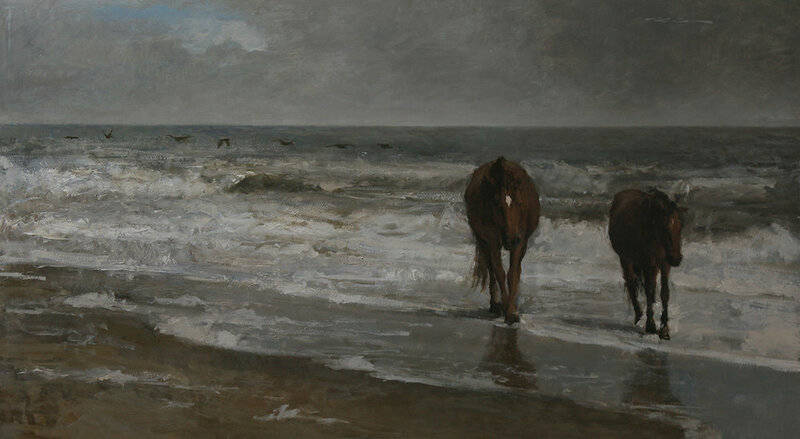 The horses are believed to have been abandoned during Spanish or English shipwrecks in the late 16th century; mustangs have been roaming this North Carolinian coastline throughout prominent historical shifts. Klein states, “The imagery is really incredible. 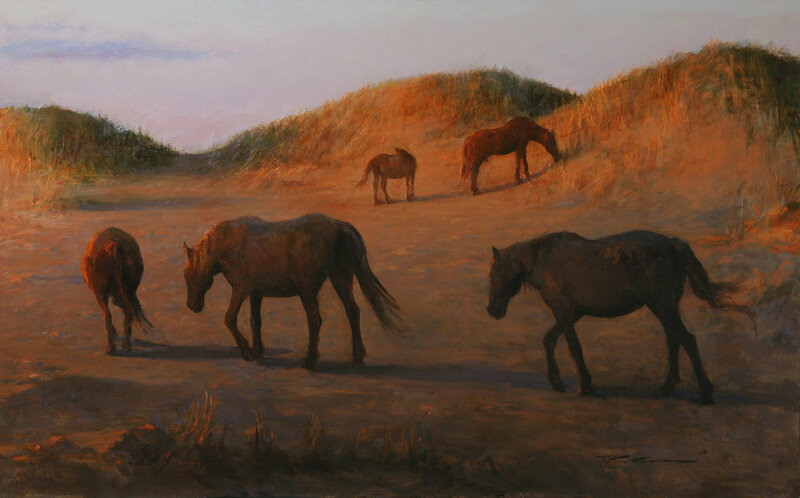 It felt very European, and historical, and yet it exists right in front of us.” The wild mustangs’ habitat has become protected by non-profits in recent years and, now, their impact is relayed through Klein’s expressive visual language. Land Dwellers will be on display at the Maxwell Alexander Gallery in Los Angeles commencing December 8th 2018 until January 9th 2019. The opening reception will be held on Saturday the 8th from 6:00 – 8:30 p.m. The artist will be in attendance. Early preview is available.